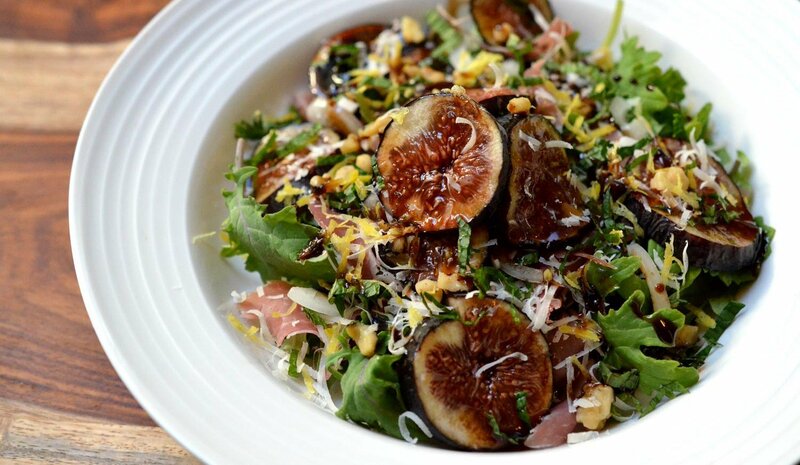 Fresh figs are a delicious, and brief, highlight of fresh summer produce. When available, they can amazingly enhance a dish. But if you don’t have access to fresh figs, dried will also work. However, you won’t need to use as many to achieve the same flavour results as dried figs have a stronger flavour. Mix the first 6 ingredients in a bowl and toss. Distribute among plates and top with parmesan. Finish with a drizzle of balsamic crema and serve.